Welcome back! This month we have lots of great stories, ranging from News on Gothic glass on- show in Magdeburg to new displays at the Burrell Collection in Scotland, vandalism of fifteenth-century glass at Martham (Norfolk), space-frames in Canterbury and much more. Jasmine Allen looks at an archbishop from the east window of Bolton Percy, for her regular Panel of the Month study. 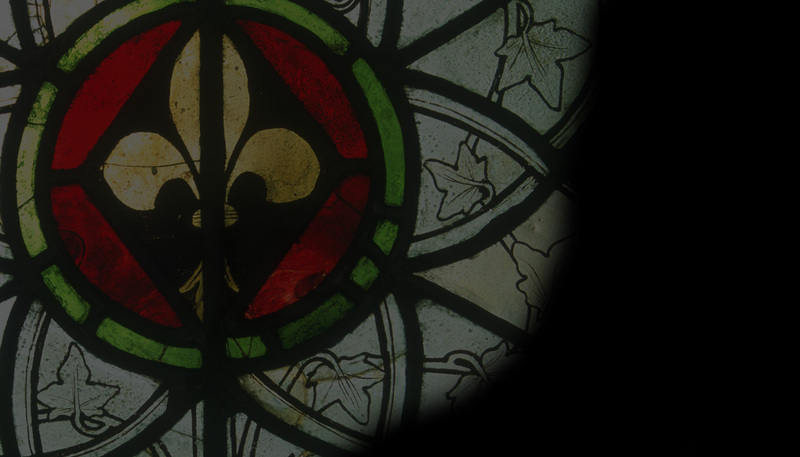 We Feature the reconstruction of some severely damaged sixteenth-century roundels from Folkestone in Kent and celebrate the 100th birthday of Lawrence Lee, one of Britain’s most important post-World War II stained glass artists and teachers. A bumper BOOKS section includes review articles about the stained glass of Augustus Pugin, iconoclasm during the English civil wars, the glazing of St Elizabeth’s church in Marburg, catalogues of exhibitions in New York and Magdeburg and a new study of Sir Edward Burne-Jones glass in Birmingham. And don’t forget another fascinating ‘Name that Roundel’ puzzle and answer, courtesy of Dr Paul Taylor of London’s Warburg Institute.